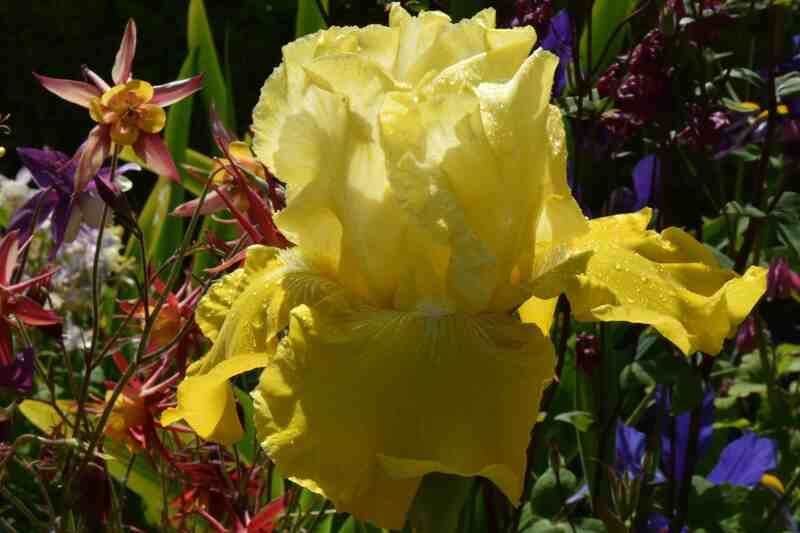 ‘Lune et Soleil’ (moon and sun) is a 2011 Cayeux introduction that is a lovely thing to have in the garden. Bright and fresh, the subtle contrast of the pale yellow standards and the bright, canary falls captures the sunlight. For my money, the standards could be a bit paler to really deserve the ‘moon’ comparison but I am only nitpicking. I do love the way the yellow beards end in a touch of white and I am glad that striping is no more pronounced. 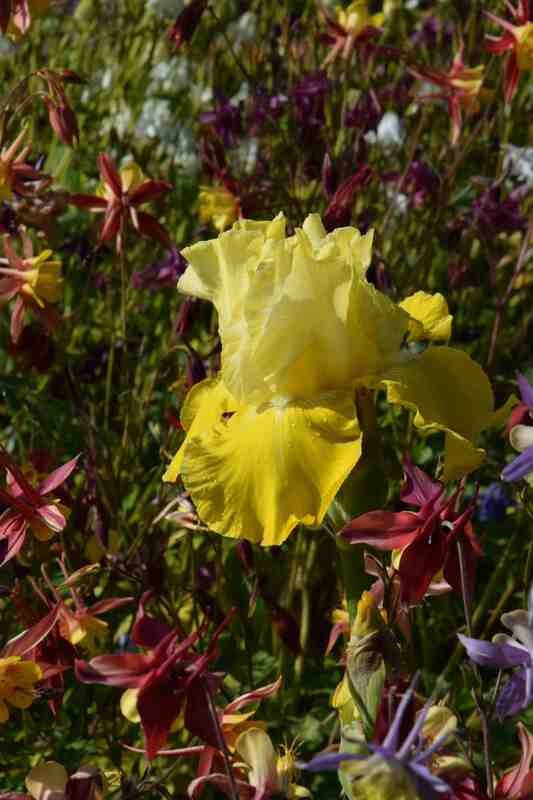 Rather remarkably, and showing how weird iris colours can be, it is an offspring of the bold, purple, white and gold ‘Starship Enterprise’ and also has a pink iris in its ancestry. 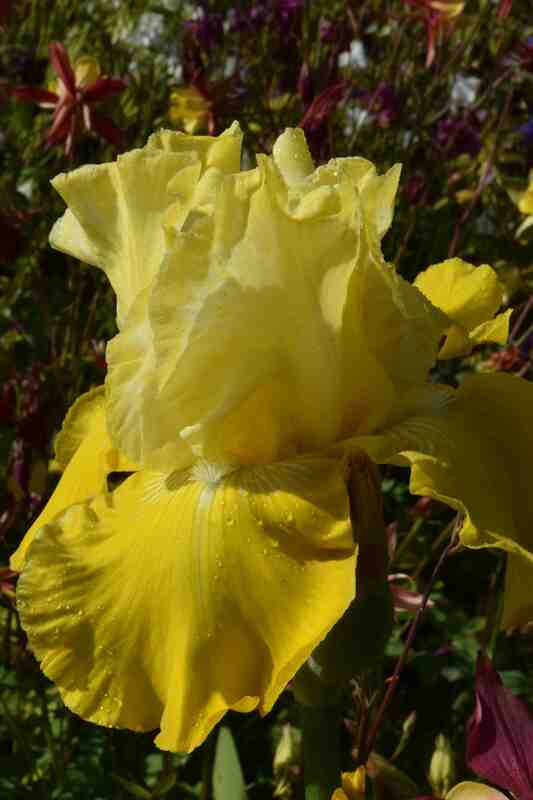 Rather less odd is that it is a descendant of ‘Gold Frosting’ which is yellow with white standards! All in all, with its beautiful freshness and lovely ruffled shape I like this. perfect I do love yellow . its our 40th wedding anniversary today . What a life! Spoiled rotten! The Biking Gardener Blog at WordPress.com. Learning life's lessons in the garden! A walk round the Estate!